Wow. 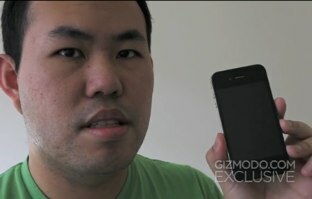 Last week, Gizmodo published a massive scoop when they got their hands on what is mostly likely the next iPhone. At the time there was plenty of talk about the legality of Gizmodo’s actions (as they admitted to paying $5000 for the device). 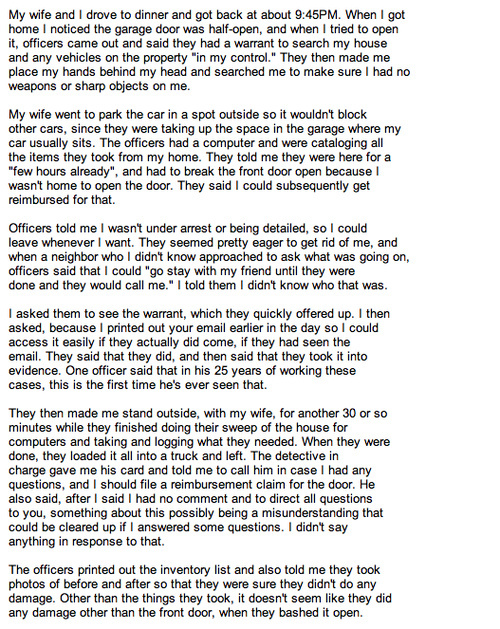 Now Gizmodo has just published a post saying that editor Jason Chen had four of his computers and two servers confiscated last night by California’s Rapid Enforcement Allied Computer Team, who entered the house with a search warrant. Gawker’s COO Gaby Darbyshire responded to the actions by citing California Penal Code 1524(g), which states that “no warrant shall issue for any items described in Section 1070 of the Evidence Code”, which protects information obtained in protection of a news organization. Darbyshire also points out that the California Court of Appeal has previously found that these protections apply to online journalists (O’Grady v. Superior Court). In Gizmodo’s post, Chen recounts last night’s events. Chen wasn’t home when the raid began, and came home after officers had already been in his house for hours. Chen’s door was broken open because he wasn’t home to open it. He wasn’t arrested, but police seized external hard drives, four computers, two servers, phones, and more. The document detailing what police intended to seize refers to Apple’s “prototype 4G iPhone” and is also referred to as “stolen” (Gizmodo has contended that the device was found in a bar, not stolen). Also note that all of this went down on Friday night, and Gizmodo didn’t say anything until today. 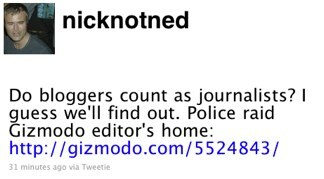 Gawker founder Nick Denton has tweeted about the situation, saying it will show whether or not bloggers are considered journalists.